Research Interests : Law of protection of consumers, Law Of Individuals, Law of obligations, Banking Law. Research Interests : Public law, Administrative law, Feminist legal theory. 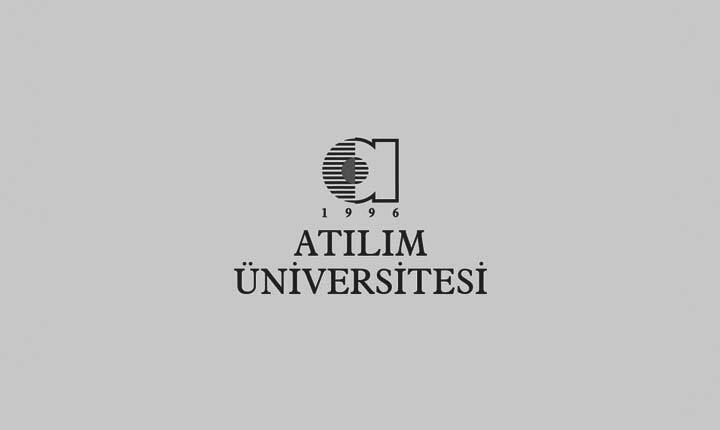 Research Interests : Law of Commercial Enterprise, Trade Law, Corporation Law, Banking Law, Maritime Law, Law of Negotiable Instruments, Trademark Law, Rekabet Hukuku, Capital Market Law, Insurance Law, International Trade Law, Patent Rights. Research Interests : Public International Law, European Union Law. Research Interests : Banking Law, Stock Exchange Law, Maritime Law, Law of Negotiable Instruments, Trademark Law, Rekabet Hukuku, Capital Market Law, Insurance Law, Patent Rights, Corporation Law, Trade Law, Law of Commercial Enterprise, International Trade Law. Research Interests : Administrative Jurisdiction, Administrative law. Research Interests : Family Law, Law of obligations, Law of succession, Law Of Individuals, Trademark Law. Research Interests : Public Freedoms, Human rights, Environmental Protection and Human Rights, Environmental Impact Assessment, Environmental Policy, Environmental Law, General Theory of State. Research Interests : International Trade Law, Private International Law. Research Interests : Civil Procedure Law, Execution and Bankruptcy Law, Alternative Dispute Solutions, Judicial Organization. Research Interests : Law and Ethics, Human rights, General Theory of State, Constitutional Principles, Constitutional Institutions, Political Parties, Politics Science, Public Freedoms, Rights of children, Rights of women, law and art, law and literature. Research Interests : Constitutional Law, Judicial Review, Governmental Systems, Political Science, Political Parties, Election Law, Election Systems, Parliamentary Law, Human Rights. Research Interests : Family Law, Law of obligations, The animal protection law, Law Of Individuals, Rights of women, Rights of children, Human Rights, Trademark Law. Research Interests : Trade Law, Law of Commercial Enterprise, Corporation Law, Law of Negotiable Instruments, Banking Law, Trademark Law, IT Law, Feminist legal theory, The animal protection law, Human Rights, Rights of women, Rekabet Hukuku, Capital Market Law, International Trade Law, Disability Studies, Woman's Studies, Disadvantageous Groups, Studies of Law and Art, Patent Law. Research Interests : International Trade Law, Law of Commercial Enterprise, Trade Law, Corporation Law, Insurance Law, Capital Market Law, Trademark Law, Banking Law, Maritime Law, Law of Negotiable Instruments, Stock Exchange Law. Research Interests : Humanitarian Law, Human rights, Law and Ethics, Sociology of Law, Legal Theory, Philosophy of Law, Just War, General Theory of State, Sports Law. Research Interests : Political Parties, Human rights, Government Forms, Constitutional Institutions, Constitutional Principles, Judicial review, Constitutional law. Research Interests : Trade Law, Law of Commercial Enterprise, Corporation Law, Patent Law, Intellectual Property Law. Research Interests : Private International Law, Disadvantageous Groups, Law of Nationality, Foreigners Law, Refugee Law. Research Interests : General Theory of State, Politics Science, Human Rights. Research Interests : Civil Procedure Law, Execution and Bankruptcy Law, Alternative Dispute Solutions, Judicial Organization, Mediation. Research Interests : Family Law, Law of obligations, Law of succession, Eşya Hukuku. Research Interests : Public finance, Tax law, Public expenditure law, Fiscal governance, Budget law, Ombudsman, Fiscal powers of local governments, Environmental law. Research Interests : Constitutional law, Judicial review, Constitutional Principles, Constitutional Institutions, Government Forms, Human Rights, Political Parties. Research Interests : Criminal law, Criminal Procedural Law, Criminology. Research Interests : Administrative law, Administrative Jurisdiction. Research Interests : Roma Özel Hukuku, Roma Kamu Hukuku. Research Interests : Public International Law, European Union Law, International Human Rights Law. Research Interests : Criminal Law, Criminal Procedure Law, Criminology.